If you're a lover of 90's fashion, you're gonna love this post! Every year there's a new show trend that everyone freaks out over and runs to the shops to get their hands on a pair. For the last two years, the big shoe trend was over the knee boots. You couldn't go anywhere without seeing someone wearing a pair. 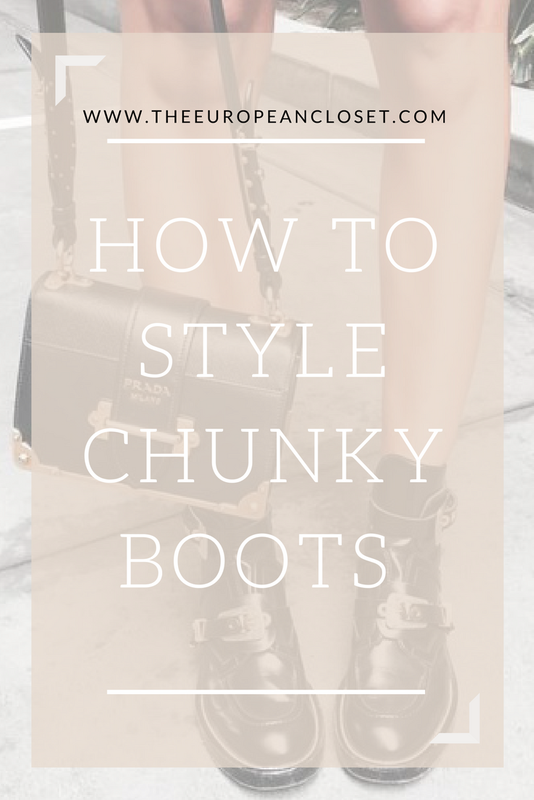 This year, the big trend is chunky, military-style combat boots. I love this trend, to be honest. I've always loved wearing big and almost masculine boots with a feminine blouse or ever dress, I just think it looks super cute. Chunky boots are nothing new to fashion really, but they were kept in the background for a few years. People would still wear them, just not as often as they do now. I myself owned a pair of military-style boots for wear that I would rarely wear because I prefer my suede over the knee boots much more. this year, however, I got a pair of boots on Christmas and have been wearing them pretty much every chance I get. Today, I've gathered a few different styling ideas to inspire you so you can rock this trend.